Faith is the chief cornerstone of The Brick House, and with that, taking time out to read God's word is a priority, but time is not always on our side. 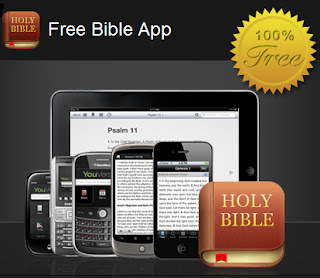 With a great app like YouVersion FREE Bible for iPhone, iPad, Blackberry, Android, Palm WebOS, Java, Symbian and Mobile Web, you can choose from 41 translations and 22 different languages. Not only that, but they have many different reading plans and devotionals that make reading the Word simple to fit in when you are on the go! You can also share passages on Facebook, Twitter, or forward them in an email, all from inside this app. I promise, this FREE app will not disappoint!